Plot: A series of related events selected by the author to present and bring about the resolution of some conflict or problem. In a strongly plotted story, the events usually follow this pattern: the conflict or problem is established; complications arise from the conflict; a main character takes decisive action, or the situation itself brings about a climax; the conflict is resolved. 2. Conflict: it is the problem the sets off the series of events to come. A. Man v. Man: The conflict is between two characters or it is an external struggle. B. Man v. Himself: A character has an internal struggle within themselves. 3. Rising Action: the series of events (cause & effect) that lead up to the climax. 4. Climax: the point at which the conflict must be resolved. 6. Conclusion: the end of the story. Exposition – Rainsford and Whitney on the boat, discussing hunting. out he hunts human beings. that wounds Zaroff, one that kills hunting dog and one that kills Ivan. and then decides to turn in for bed. 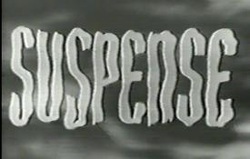 Suspense: a plot element that causes a reader to be anxious about what will happen next. 1. Setting: the setting of the story creates the atmosphere and give definition to the suspense. gnarled trunks and whipping branches." their threadbare couch look small." The atmosphere that the setting creates will define the anxiety that the reader should fee: anticipation, impending doom, and so on. 2. 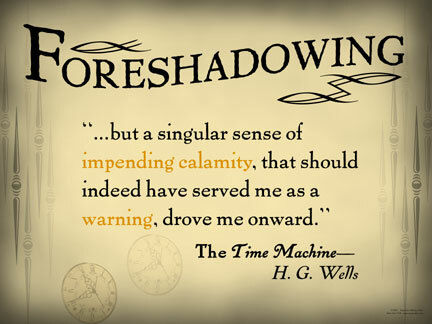 Foreshadowing: the plot technique of giving the reader, listener, or viewer of a story or play hints of what is to come in that work. - Foreshadowing allows the reader to guess or to be concerned with what they can foresee happening, while still allowing the reader to be surprised by how it happens. - The reader then remains engaged with the plot to see if they were right, or to see the events unfold. 3. Cause & Effect: a pattern of action were events in a story can be traced back to what other events caused them. - When characters do something in direct response to an event, characterization becomes a suspenseful element. - The reader may wonder what the effects of a certain event may be, or what caused an event. - When a reader guesses how a character will react or what will the effect of an action be, they become involved with the plot line and in a sense, anxious about how it will turn out. (It is also the perfect set up for an ironic twist). Characterization: The technique writers use to create lifelike characters. A writer may describe a character’s physical appearance, personality, behavior, thoughts, feelings, and speech. A writer may also describe the reactions of some characters to another character. - Flat Characters: Stereotypes are one-dimensional and lacking in complexity. These characters don’t change throughout the story. - Round Characters: They act according to complex and realistic patterns of emotion and behavior. They also change throughout the story. Characterization is the process by which the writer reveals the personality of a character. Characterization is revealed through direct characterization and indirect characterization. Parents doubted Doodle would live, no hope, etc. Definition: The time and place in which the action occurs. - The setting may serve simply as a background for characters and evens or it may help create the atmosphere from which the story evolves. - It may it directly affect the plot's development, and it may help in the understanding of character, or even be vital to that understanding. Setting: Eudora Welty said, "Every story would be another story, and unrecognizable if it took up its characters and plot and happened somewhere else... Fiction depends for its life on place. Place is the crossroads of circumstance, the proving ground of, What happened? Who's here? Who's coming?..." Writers describe the world they know. 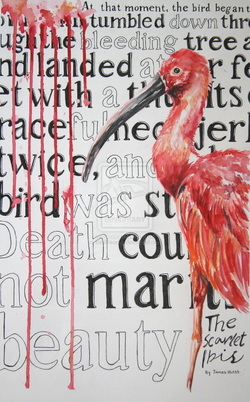 Sights, sounds, colors, and textures are all vividly painted in words as an artist paints images on canvas. A writer imagines a story to be happening in a place that is rooted in his or her mind. The location of a story's actions, along with the time in which it occurs, is the setting. People exist in a particular time and place. Where we live may contribute not only to our personality, but also to our values, attitudes, and even our problems. In literature, setting (time and place) can also influence characters and what they do. The setting may be nothing more than the backdrop for what occurs; however, it may be directly linked to mood or meaning. It can create an atmosphere that affects our response to the work. It may have a direct effect on a character's motivation. An external force may enter the setting and change it, causing conflict for the characters. The setting itself may be an antagonist. Two settings may come into conflict with each other, causing conflict in the characters who must live in them and perhaps have to choose between them. Reading for setting Sometimes the setting is clearly described by the narrator. However, some works will require you to search for clues, especially with regard to the nonphysical environment. Learn about the author and the time and place of writing. Note unique uses of language and, perhaps, hidden references to the historical or cultural environment. "The Open Window" is Saki's most popular short story. It was first collected in Beasts and SuperBeasts in 1914. Saki's wit is at the height of its power in this story of a spontaneous practical joke played upon a visiting stranger. The practical joke recurs In many of Saki's stories, but "The Open Window" is perhaps his most successful and best known example of the type. Saki dramatizes here the conflict between reality and imagination, demonstrating how difficult it can be to distinguish between them. Not only does the unfortunate Mr. Nuttel fall victim to the story's joke, but so does the reader. The reader is at first inclined to laugh at Nuttel for being so gullible. However, the reader, too, has been taken in by Saki's story and must come to the realization that he or she is also inclined to believe a well-told and interesting tale. “The Open Window” is the story of a deception, perpetrated on an unsuspecting, and constitutionally nervous man, by a young lady whose motivations for lying remain unclear. The most remarkable of Saki’s devices in “The Open Window” is his construction of the story’s narrative. The structure of the story is actually that of a story-within-a-story. The larger “frame” narrative is that of Mr. Nuttel’s arrival at Mrs. Sappleton’s house for the purpose of introducing himself to her. Within this narrative frame is the second story, that told by Mrs. Sappleton’s niece. The most important symbol in “The Open Window” is the open window itself. 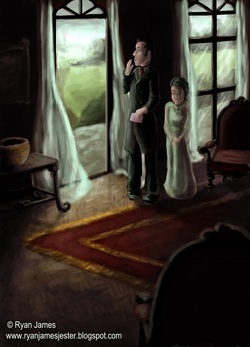 When Mrs. Sappleton’s niece tells Mr. Nuttel the story of the lost hunters, the open window comes to symbolize Mrs. Sappleton’s anguish and heartbreak at the loss of her husband and younger brother. When the truth is later revealed, the open window no longer symbolizes anguish but the very deceit itself. Saki uses the symbol ironically by having the open window, an object one might expect would imply honesty, as a symbol of deceit. Vera’s story. The reader remains, however, after Mr. Nuttel has fled and thus learns that Vera’s story was nothing but a tall tale. Vera’s story is essentially a tall tale. Tall tales are often found in folklore and legend and describe people or events in an exaggerated manner. Good examples are the story of John Henry and his hammer, and the story of Paul Bunyan and Babe the Blue Ox. Vera exaggerates the significance of the open window by making it the centerpiece of a fabricated tale of tragic loss. Though it is a remarkably short piece of fiction, “The Open Window” explores a number of important themes. Mr. Nuttel comes to the country in an attempt to cure his nervous condition. He pays a visit to the home of Mrs. Sappleton in order to introduce himself, and before he gets to meet the matron of tha house, he is intercepted by her niece, who regales him with an artful piece of fiction that, in the end, only makes his nervous condition worse. It is no surprise that Mrs. Sappleton’s niece tells a story that is easy to believe. She begins with an object in plain view, an open window, and proceeds from there. The window is obviously open, but for the reasons for its being open the reader is completely at the mercy of Mrs. Sappleton’s niece, at least while she tells her story. The open window becomes a symbol within this story-within-a-story, and its appearance becomes its reality. When Mr. Nuttel (and the reader) are presented with a contrary reality at the end of the story, the result is a tension between appearance and reality that needs to be resolved: Which is real? Can they both be real? Were it not for deception, this story could not happen. The action and irony of the story revolve around the apparent deception that Mrs. Sappleton’s niece practices. It remains to be seen, however, whether this deception is a harmless prank or the result of a sinister disposition. If the niece’s deception is cruel, then the reader must question the motives behind the deception practiced by all tellers of stories, including Saki himself. “The Open Window” shows just how fine the line can be between sanity and insanity. Mr. Nuttel’s susceptibility to deceit is no different from that of the reader of the story. Yet Mr. Nuttel is insane, and the reader, presumably, is not. In order to maintain this distinction, Saki forces his reader to consider the nature of insanity and its causes. Saki does not specify when his story takes place, but it is obvious that the story is set in Edwardian England, the period of time early in the 20th century when King Edward VII ruled England. During this time, England was at the peak of its colonial power and Its people enjoyed wealth and confidence because of their nation's status in the world. The wealthy leisure class was perhaps overly confident, not seeing that political trends in Europe, including military treaties between the various major powers, would lead to World War I and the resulting destruction of their comfortable way of life. It is this complacency that Saki often mocks in his stories. 1910s: A rest in the country is often recommended for those city-dwellers suffering from nervous disorders. Today: Though many people take vacations to relieve stress, the “rest” cure is an antiquated treatment for nerves. Commonly, doctors prescribe medication. 1910s: In polite society, letters of introduction were a common means by which to make oneself known in a new place. Letters of this kind served to guarantee that a move to a new home did not isolate someone from the community. Today: Most people meet by chance in school or at work rather than through the pre-arranged situations, although dating services and personal ads are common. 1910s: Hunting is a popular sport among the English wealthy classes in the Edwardian Age. Today: Hunting is a popular sport among all social classes and it is seldom used solely as a means of obtaining food. Saki, whose real name was Hector Hugh Munro, was born at the height of English Imperialism in Akyab, Burma, on December 18, 1870, to British parents, Charles Augustus and Mary Frances Munro. His father was a colonel in the British military. With illustrator Francis Carruthers Gould, Saki collaborated on a successful series of political cartoons. His unusual pseudonym comes from the name of a character in Edward Fitzgerald’s translation of The Rubaiyat, a long poem by twelfth-century Persian writer Omar Khayyam. Saki is most widely known as a satirist of the English ruling classes, and his best known short story is “The Open Window.” He is also famous for the character Reginald, who appears in a number of his short stories. However, though he is primarily known for his short fiction, including the volumes Reginald (1904), Reginald in Russia (1910) and Beasts and Super-Beasts (1914), he was also a novelist and playwright and the author of two works of nonfiction, including the historical The Rise of the Russian Empire. When World War I began, Saki joined the British military as an enlisted man, though due to his high social rank and education, he could have enlisted as an officer or worked for military intelligence. Indeed, he refused several offers of commission. He died in action in France on November 14, 1916. Definition: the perspective from which the story is told. considerably, depending on who is telling it. ·Narrator is often the protagonist or minor character; we see only what he/she sees, in the way that he/she sees it. ·Advantage: first person narrator has immediacy and a sense of life. we are locked within the mind of the narrator. Third person narrator: usually a nameless narrator who can be identified with the author. Advantage: very natural technique; author is, after all, omniscient regarding his work. 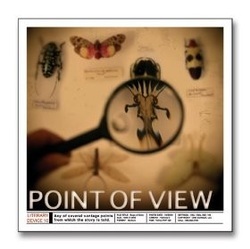 ·Viewpoint character: third person narration that is limited to the point of view of one character in the novel; may be a protagonist or a minor character. Combination of narrative techniques is possible in a novel. What exactly is this elusive thing called theme? In fiction, the them is not intended to teach or preach. in fact, it is not presented directly at all. The reader must extract it from the characters, actions, and setting that make up the story. In other words, you must figure it out for yourself. in order to communicate on a common ground with the reader. Although the particulars of your experience might be different than the details in the story, the general underlying truths behind the story may be just the connection that booth you and the writer are seeking. - The theme may be stated or implied. - Theme differs from the subject of the work in that it involves a statement or opinion about that subject. - Not every literary work has a theme. 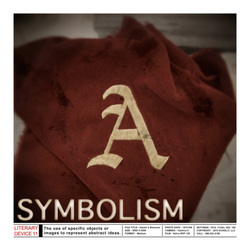 - Some literary works have more than one theme. - Think through the events in the plot and the effects they've had on the characters. 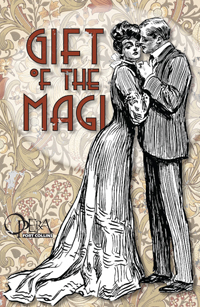 The Gift of the Magi is a short story, one of several hundred written by O. Henry between 1903 and 1910. It was published in a New York City newspaper in 1905 and in a collection, The Four Million, in 1906. Balthasar, king of Arabia; Melchior, king of Persia; and Gaspar, king of India.